What exactly is Towel Day? Well, for those who may not know, it is a reference to the famous 1979 book Hitchhikers Guide to the Galaxy by Douglas Adams, in which he establishes the bold sentiment that the most useful item for an intergalactic space traveler is the common towel. According to the official Towel Day website, the history of the event itself began after Adams’ death, when his fans wanted to organize a wake in his honor. After initial success, it became an annual event. Considering the Hitchhikers Guide to the Galaxy has been called “The standard repository for all knowledge and wisdom,” and we here at Digilent are all in favor of sharing knowledge and wisdom (and taking opportunities to write entire blog posts discussing the unusual possible uses and history of a common hygiene product) we figured it only appropriate to craft a tribute…Digilent style. So, in honor of the 16th Towel Day, we have searched every corner of the galaxy (or more specifically the Digilent Offices) to bring to you the six Digilent products we consider arguably as useful as a single towel. We thoroughly researched Adams’ famous quote on the towel (full quote below) and have spent countless hours contemplating the deeper meaning of his words, while looking dramatically out the office windows in the general direction of the nearest sunset, in an attempt to contest his bold statement that a towel is the most useful object in intergalactic space travel and in life. Without further ado, we present The Six Digilent Products Arguably as Useful as a Towel. 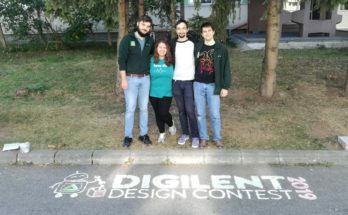 Each contestant’s profile is prefaced by a established capability of the towel taken directly from the quote and followed up by our take on why this product is a contender for similar use. The PmodTC1 is a cold-junction thermocouple-to-digital converter module designed for a classic K-Type thermocouple wire. With Maxim Integrated’s MAX31855, this module reports the measured temperature in 14-bits with 0.25°C resolution…which, as one can imagine, is useful when attempting to regulate temperature. While for most of us on Earth simply being mammals is sufficient to keep just the right amount of body temperature, on a foreign planet this tends to be less of a given. 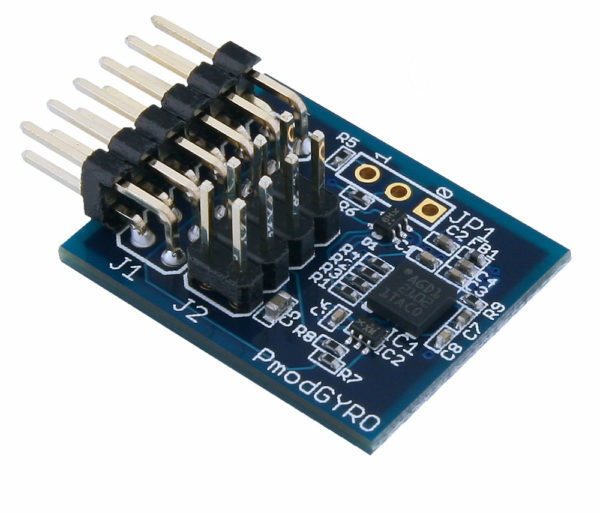 Track your intergalactic progress with the PmodGYRO, enabled with high shock survivability. When hitchhiking throws you into unknown territory, it is helpful to have a trustworthy device by your side. The PmodGYRO can successfully guide the meandering traveler and aid their journey with useful reports. Angular momentum reports at 2000 dps will alert the wanderer to upcoming obstacles, while high shock survivability ensures a long life for both hitchhiker and device. Its ability to filter signals will ease the mind when the waves grow tumultuous beneath one’s feet, whereas power-down and sleep modes adjust for lazy nights spent drifting underneath the stars. Stand tall against foes, even in the dreariest of climates, with the waterproof WS2812 LED strip. 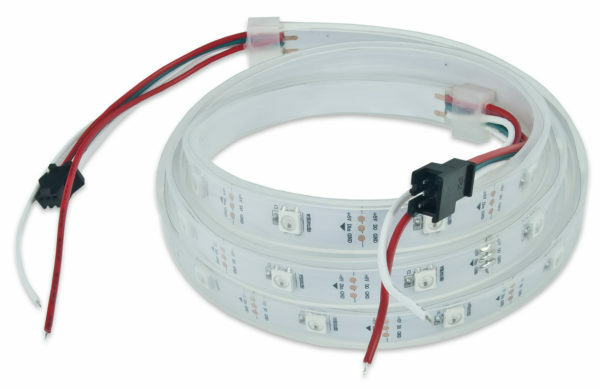 These minimum fuss LED strips are the perfect tool for tough situations. With 30 light elements, you will be safe in the darkest of nights, and worry free should the clouds release tempestuous rain showers without warning. The choice between red, green, and blue LED programming may also help in dangerous situations, where mimicking the colors of the native dangerous species discourages forthcoming attack. While travelers hopefully do not often encounter these situations, individually addressable LEDs with varying brightness values can supply light while emitting low levels of protection from beasts hiding nearby. Scout harsh environments and distract ravenous beasts with the SRK Basic robot kit. When traveling through space it is very important to carry your essentials without fear of forgetting a crucial part. 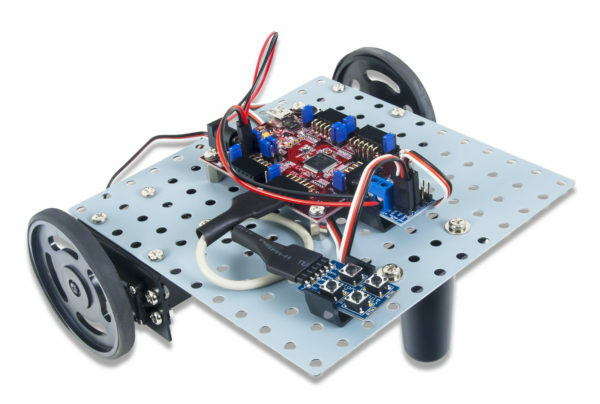 Thankfully there is no need to worry with the SRK Basic robot parts kit, as it includes everything needed to build a fully functioning robot without wasting any time at all! As a new hitchhiker (or engineer) you may be unaware of the dangers that lurk ahead, which makes it all the more important to protect yourself from early defeat. Although unable to wrap around ones’ head like a towel, the SRK Basic robot kit can be driven ahead of the traveler to scout for obstacles such as the Ravenous Bugblatter Beast of Traal. Its rugged metal platform and plastic wheels, driven by two GWS servos using continuous rotation, will conquer any terrain and provide the necessary support for hitchhikers in any situation. 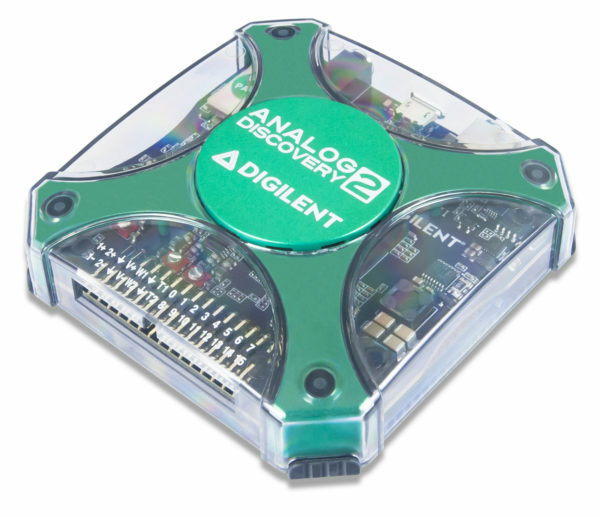 Save yourself stress, and from the emergency situation in the first place, with the Analog Discovery 2. With its ability to measure, visualize, generate, record, and control mixed-signal circuits of all kinds it is invaluable for turning your ship (or small, temporary, planet-camp) into a powerful electrical engineering workstation! Especially when it comes to debugging, when you’re about to attempt to fly at light speed it can help to have the most reliable tools to avoid complete system failure and subsequent death. And with the arbitrary waveform generator, it can do more than just be waved frantically in the air to denote distress signals. It can create sawtooths, sine, digital wave and more! Despite the fact that the word “Drain” is part of the PmodOD1’s name, it is not specifically for use with liquids. 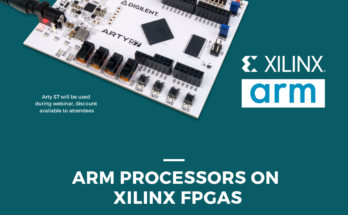 However, it compensates with its ability to drive high current devices by providing digital logic signals from the host board. This can be useful (along with some other key hardware) when attempting to work with high voltage devices, such as, say… a futuristic space vessel. And while contact with the Pmod’s cold impersonal circuit board may not provide the same texture-based relief found when drying ones self with a towel, I can assure that allowing the ability to power up a spaceship and get the heck off of whatever planet is so wet and cold is infinitely more effective than simply wrapping a mangy piece of cloth around ones body. But alas, the sheer utility of the towel lies in its multi-functionality, and despite a strong showing from all of our six contestants there only be one. So the single winner, purpose-blender, biggest-possible-towel-contender Digilent product is…. With all those capabilities, wires, and its crisp professional casing, any non-hitchhiker that one may encounter when traversing the galaxies would automatically assume that the person in ownership of such a device is also in possession of BNC Adapter Board and just about any electronic component…ensuring that the person the hitchhiker has encountered will then happily lend any electronic component or software the hitchhiker may have “lost”. Anyone who carries such as device is clearly known within the engineering community to be an individual who is one to be reckoned with. This post was brought to you as a collaboration between two intergalactic travelers currently stationed at Earth’s Digilent, Miranda Hansen and Quinn Sullivan. Main photo taken by Joel Orozco, although due to the insufficient amount of oxygen in space may or may not have not been the best visual representation of either author. Great post! Douglas Adams is definitely a fun author to read. The comparisons you made are clever too. I own an Analog Discovery II and while I can’t say that I’ve used it to make sure I make the jump to light speed (a depressing thought, I know) nor used to to create distress signals (thankfully), my cred at work definitely goes up. I also like your other hidden reference right towards the end of the post.